The in-game graphics style for TinyWars' upcoming story demo now seems to have been finalised; this is a screen-grab of the demo's first level. Let us know what you think. Meanwhile, have you caught TinyWars' Tower Builder & Inventory System in action yet? Find out more in our previous update, by scrolling right on this slider. The month of June, 2017, marked the successful implementation of TinyWars' Tower Builder and Inventory systems. Both were previewed in the form of screenshots earlier last month, with Lead Developer Andrew Taraba illustrating how their interfaces were demonstrative of various ongoing improvements to the game's HUD. Each tower is made of three aspects -- the Main Body, the Accessory and Bottom. Clicking on any of the three item slot boxes next to the tower preview will bring up the Item Selection menu. 'This Inventory screen displays all the current items the player has unlocked. Selecting the items will bring up their name and description.' continues Taraba. Once deployed via the 'Fight' button, the customised tower then plays into the 'tower defense' aspect of TinyWars by tasking players with strategically placing units to defend it from incoming enemy attack. Of course as announced in June, part of TinyWars' ongoing development involves redefining the in-game graphics and visuals to have it stand apart from the existing prototype. The team is now close to finalising an art style for the game and expects to do so by the end of July, with various samples of the first level's design seen below. T-shirt designs featuring Ayasal's official artwork for the game are also being considered, with Bizurk currently inviting sign-ups from interested followers of the game here. TinyWars' Story Demo is due for a release later this year, and will be a vertical slice of the full TinyWars experience consisting of three of the main game's levels. Those wishing to get their hands on a free tech-prototype of the game's tower defence element meanwhile, can download the same for Windows PC and Android via the Downloads section of the game's website. To ensure you're up to date with progress in, subscribe to E-mail updates via the sidebar on this page or to the game's Sub-Forum. Feedback, queries and interactions with the development team may also take place within the same. For prior updates/press releases, scroll right on this slider. Only just finished is a brand new poster created in preparation for TinyWars' upcoming story demo . Rendered by artist Ayasal, the artwork attempts to sum up the blend of fun adventures and dark story moments the team is currently working on. Due for a release later this year, the Story Demo will be a vertical slice of the full TinyWars experience. To ensure you're up to date with development progress, be sure to subscribe to E-mail updates via the sidebar on this page or to the game's Sub-Forum. Bizurk Software concludes another month of TinyWars' development by further expounding its Expanded Gameplay Model. It was announced in April that said Gameplay Model would seek to blend various quest-based mechanics with tower defence gameplay, with players being granted the ability to complete both mandatory and optional quests to further the game's tower-defence narrative. 'As the player progresses through the game, more and more pieces of the map will become colored,' explains Lead Developer, Andrew Taraba. Zooming-in and selecting a particular area on the Overworld map yields various elements within that area -- buildings, foliage and other populace -- clicking on which takes players to a 'Live' world. A concept of the 'Live' Stump Area. 'This portion has not been fully developed yet, and it will actually be developed a little later in the development pipeline, ' continues Taraba. With regards to which, updates to the game's various visual/GUI elements are now in effect. These include a new and improved notification system that aims to reduce cognitive load, as opposed to speech bubbles that exist within the current prototype. Pre-Battle Screen that lets players pick power-up's and items they'd like to take into battle. The team is also working on various revisions for the game's graphical style, hoping to implement them in code by the end of the month. Finally designs for a new enemy character, concepts of which were previously previewed on social media (scroll right on this slider), were completed by artist Litchipix during the course of May. 'Rose is not our friend; she's capable of using her forbidden magic to control thorny bushes and plants.' describes the development team. To ensure you're up to date with the latest development milestones in relation to TinyWars, be sure to subscribe to E-mail updates via the sidebar on this page or to the game's Sub-Forum. Various design concepts for a mysterious clan of mages that will be making an appearance on TinyWars' upcoming Story Demo. While Bizurk prefers to keep the exact narrative role/game-play features of the clan under wraps for now, more light is expected to be shed in a subsequent announcement that will also discuss the demo's development progress. 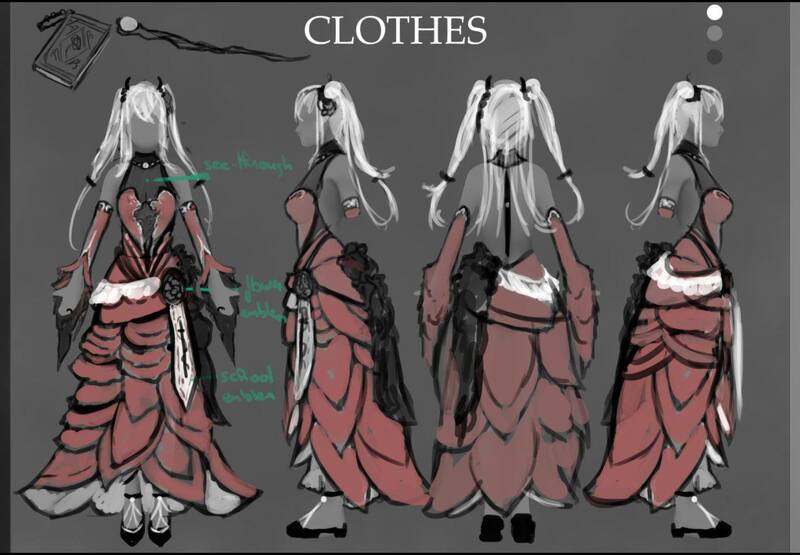 The design concepts are the work of artist Litchipix, who states that an elegant dress design is being pursued for the clan. As you wait for the Story Demo's release later this year, a game-play prototype of TinyWars is now available as a free download via the Downloads section of the game's website. Which version of the above designs do you prefer? Feel free to discuss them on the TinyWars' Sub-Forum. Progression through the Story mode of TinyWars' complete experience will be driven by a quests-based mechanic, developer Bizurk Software has announced. The unravelling of the game's narrative will be spread out over multiple worlds, each of which are to provide several hours' worth of game-play content. 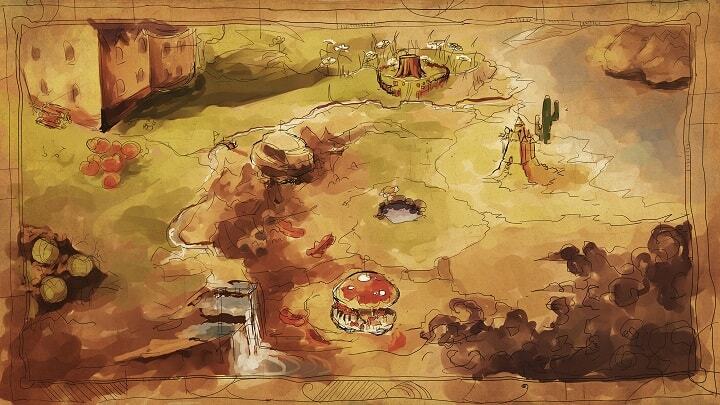 'As you can see by our Worldmap mock-up below, there are a number of worlds planned for the game.' illustrates Lead Developer Andrew Taraba. Not all quests will be mandatory, although players will be rewarded for exploring optional quests in the form of various rewards. Part of these rewards will be in the form of virtual currency, concepts (see attached image) of which are currently being explored. 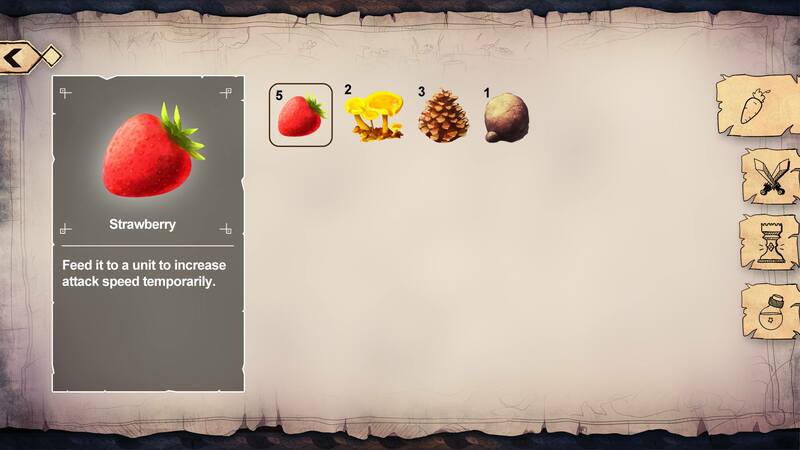 'The two virtual currency units we have planned, Gold Magical Mushroom Spores, and The Blood of the Witch (Or the Blood of Mother), will be used in different ways that can shape the way your units function and behave!' continues Taraba. 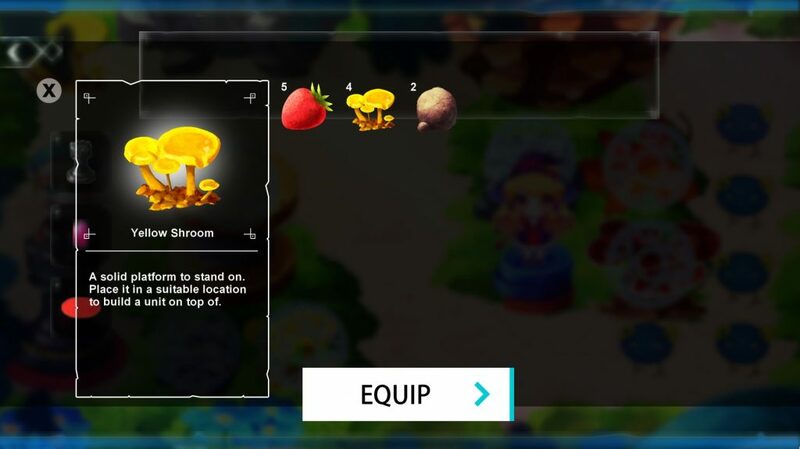 Contrary to traditional tower defense mechanics where unit upgrades often do not persist from level to level, TinyWars' virtual currency will allow for the purchase of more permanent in-game items. 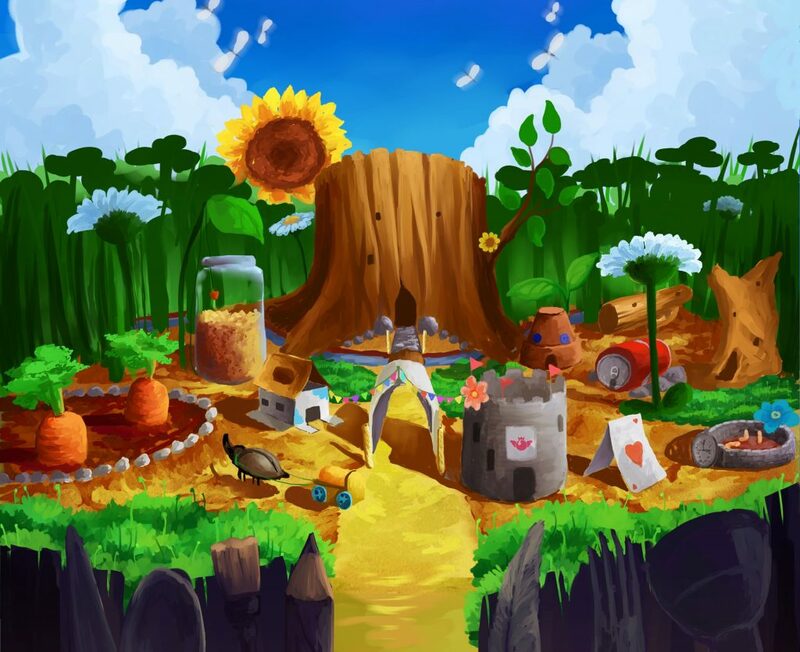 While various quest-lines are currently being scripted, game-play videos illustrating the working of a planned RPG-tower defense blend of a game-play model will be shown off at a later stage. Players will further be given a taste of this hybrid game-play model along with that of several quest lines in the upcoming Story Demo. Due for a release sometime this year, the story-demo will be a vertical slice of the full TinyWars experience that is currently having its various visual and narrative assets developed. Said narrative will begin by exploring the life of TinyWars' main characters, their relationships and transformations over time. As players progress, the tone is set to get progressively darker until a few turning points are hit. A functional preview of this experience's Main Menu can now be seen below. Those wishing to get their hands on a free tech-prototype of TinyWars' tower defence element meanwhile, can download the same for Windows PC and Android via the Downloads section of the game's website. More visual and game-play snippets from the main game's development are to follow. To ensure you're up to date, be sure to subscribe to E-mail updates via the sidebar on this page or to the game's Sub-Forum. The TinyWars game-play prototype has received its final update, bringing about updated visuals, difficulty and a special re-launch trailer to mark the same. Enhanced character attack, upgrade and particle effects serve to graphically improve the prototype experience, while overall game-play difficulty has been reduced significantly in favour of user accessibility. 'Many of our early players noted that the prototype was extremely difficult, although this did lead to some very interesting play-through videos on Youtube.' states Lead Developer Andrew Taraba. Released for Windows PC and Android devices in the month of December, last year, the TinyWars Prototype is a crude, functional demonstration of the game's tower defence engine. Serving to keep fans engaged in its development, it has also been providing the developers with valuable feedback pertinent to development of the full TinyWars experience. Players might note that character animations within the prototype are still incomplete, given as the developers have opted to move focus to the main game's production instead. Due for a release sometime this year, the story-demo will be a vertical slice of the full TinyWars experience, featuring finished animations, enhanced controls, story/narrative cut-scenes and the implementation of its first four narrative chapters. With production of the same having officially begun mid-December, the team has since been involved in developing its visual theme, menus and other related assets. 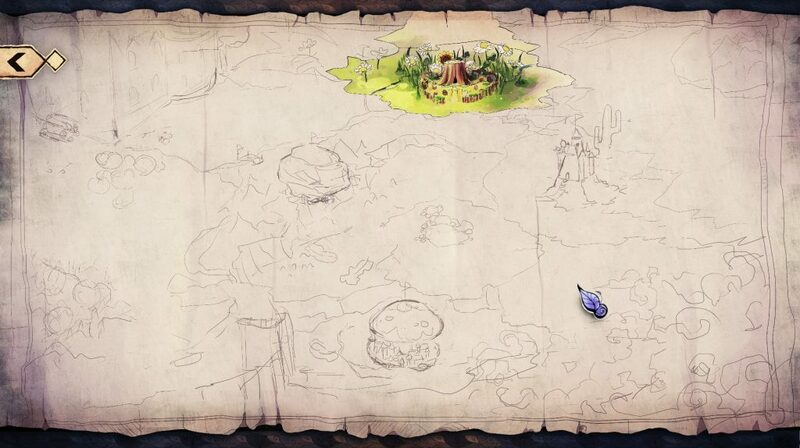 Seen below is a sneak-preview of the story-demo/main game's updated main-menu and worldmap. Nearly all of the refined, updated game-play mechanics from the prototype will translate over to the story-demo and main game. The updated TinyWars prototype may now be downloaded for Windows PC and Android devices via the Downloads section of the game's website. The following months will feature various visual and game-play snippets from the main game's development. To ensure you're up to date, be sure to subscribe to E-mail updates via the sidebar on this page or to the game's Sub-Forum. Developed and refined by Bizurk Software over the course of January, this year, MemoryWars is a TinyWars-infused twist on the classic card game of Memory. With upto 12 levels to beat, players may compete with A.I or at least one other player to earn in-game currency and build a library of Collectable Cards featuring TinyWars' various cute, rare and deceptive characters. A Lucky Card based reward system, Health Points, special cards, boss fights and 'insane levels' are also prevalent. 'The purpose of creating MemoryWars was so that we could exercise our programming skills over New Year's.' explain developers Bizurk Software. Bordering at 10-50 downloads with a rating of 4.5/5 on the Play Store, MemoryWars has admittedly provided the team with an opportunity to experiment with Virtual Currency, in-game Collectables and the use of special effects/animations plus sound to enhance fun. Several of these ideas, especially those of cute animations, are now being carried over to the main TinyWars game. Following the successful launch of its free-to-play PC/Android game-play prototype in November, last year, TinyWars is currently having its complete narrative/gameplay experience developed. Cutscenes, user interfaces and various assets are being created for the same in preparation for a planned release of its vertical slice later this year. Additionally, the Prototype is also due for its final update later this month -- bringing previously non-functional features such as touch zooming on its Android version and improved animations/visual effects to the fray. A sample of these improved effects can be seen attached herewith. Got feedback and/or queries? Interact with the TinyWars development team, share your MemoryWars experience and have your say in the game's development at its Sub-Forum. For prior updates/press releases, scroll right on this slider. 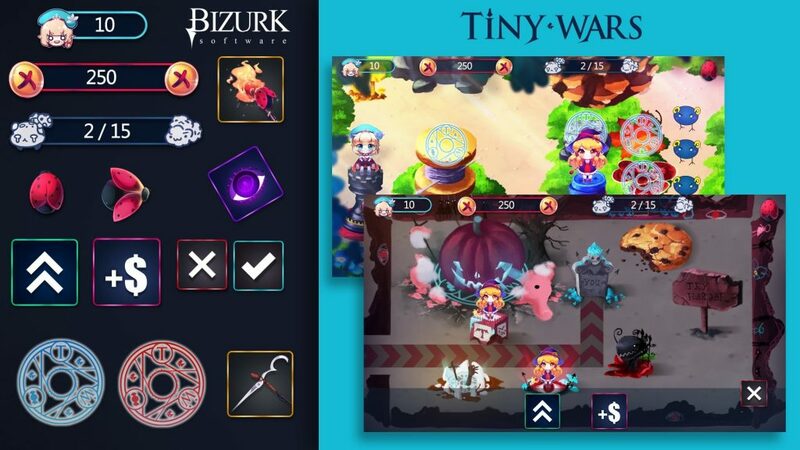 Following a successful release of the upcoming tower defense game's prototype earlier this month, developer Bizurk Software has officially announced & commenced development of the complete TinyWars experience en route to a predicted 2018 release. Along with it comes news of TinyWars' first official Demo; a vertical slice of the main game that will contain finished animations, enhanced controls, story/narrative cut-scenes and the implementation of its first four narrative chapters. The Demo has been given an estimated release period of Q3 2017, and will serve as an accurate representation of the full TinyWars experience, Lead Developer Andrew Taraba declares. This will of course be in contrast to the game's now available Prototype, an implementation of TinyWars' tower defense engine that was released after a month-long closed-beta period with intent of having its various gameplay mechanics tested. The remnants of 2016 then are to involve incorporating all gathered user-feedback therefrom in the optimisation of the game-play engine. 'We aren’t looking to add anything new to the engine at this time in terms of technical features, just improving what we have already assembled as our “template”for the final game.' states Taraba. The production of in-game assets meanwhile has been ongoing behind-the-scenes, with the team further providing a look at various aspects of the full game. The first of these is a preview of TinyWars' menu system; developed by the game's primary background artist Chibionpu, the menu abides by a formative theme of TinyWars' narrative. 'Imagine that somebody has been collecting hints and evidence for the existence of “tiny people”, compiling all this evidence into a scrapbook: This is the theme of TinyWars in terms of its visual design as well as how we plan to deliver the story.' states Taraba. Indeed, the TinyWars narrative will be delivered via both in-game cutscenes and journal entries; the latter shedding light on the Kingdom’s history and ongoing struggle from the perspective of an investigator collecting evidence pertinent to the existence of the Tiny civilization. Although the name and details pertinent to this investigator/narrator are being kept under wraps for now, the team debuts a look at her newly conceived design (attached). This is immediately followed by a preview of TinyWars' official soundtrack with the Edwin Toh composed theme song. As the developers proceed to translating the flavours established by the soundtrack and its menu system into a complete implementation, various snapshots of TinyWars' ongoing visual interface design can be expected in the forthcoming months. This is to be followed by development of various story/cutscene pertinent elements, relevant game-play sequences and even a tutorial level. Through all of this, both the Windows PC and Android versions of the Prototype will continue to be improved and updated. One may download the same at any time via the Downloads section of the game's official development blog. Feedback is encouraged and may be conveyed to the developers directly via the game's Facebook page. Attached herewith is an all-new poster showing off the game's Melee character, WIP menu implementation, concept art of the in-game journal, investigator/narrator and TinyWars' soundtrack cover artwork respectively. For prior progress updates, scroll right on this slider! Visitors to the Downloads section of the official TinyWars development blog may now avail of both Windows PC and Android versions of its gameplay prototype. An anime-themed sample of the main game's tower defense engine, the prototype tasks players with protecting protagonist Mary against an onslaught of enemy attack across 15 waves. 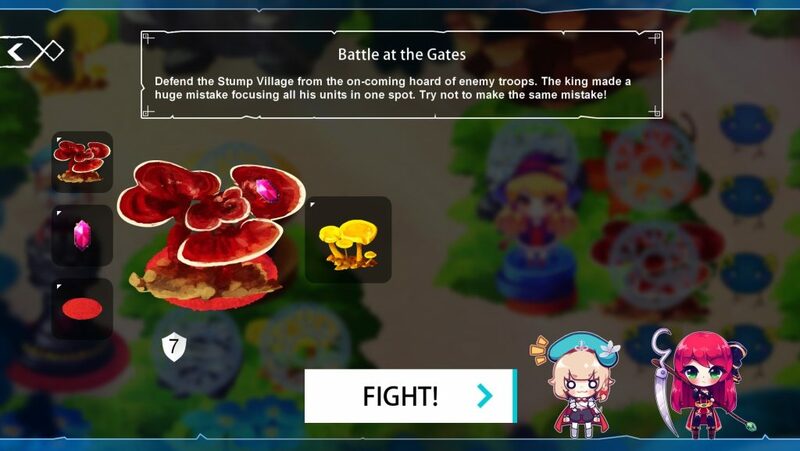 They must do so in typical tower defense fashion, strategically placing Melee/Fire units to take down the foe, all while upgrading and/or purchasing new units using procured currency to survive all 15 waves. While specific waves can also be retried upon failure, the prototype also comprises of a Tiny War -- a periodic occurrence wherein 'Dark Magic' takes over, the level switches to a darker variation of itself and players are prohibited from using the 'Retry Wave' feature for a pre-determined number of waves. 'Don't let the cute anime girls or fun music distract you, this game is anything but easy!' writes Lead Developer Andrew Taraba, amplifying a point that has been brought up by numerous participants of the prototype's preceding closed beta that ran between October-November. 'We have created a tutorial that will help those who have experienced difficulty with our project get past the first 4 waves with perfect HP.' Additionally, players might also find crucial game-play tips listed on TinyWars' newly created IndieDB page. It is also important to keep in mind that the prototype is not a complete representation of the main game; all narrative aspects are absent, while technical glitches, bugs and inconsistencies should be expected. Feedback is encouraged regardless, may be conveyed to the developers directly via the game's Facebook page and is already being used towards development of TinyWars' full narrative and game-play experiences. For a look at what's been said about the TinyWars prototype so far, consult the sidebar of this page. For prior development updates meanwhile, scroll right on this slider! UPDATE: The Prototype's public launch will now follow Thanksgiving, as opposed to its previously scheduled date of November 20th, it has been decided. Having commenced on the 20th of October, the ongoing Closed Beta of TinyWars' first playable prototype is all set to wrap up during the course of this week. In announcement of the same, Lead Developer Andrew Taraba further states that the prototype will not only be made publicly available for Microsoft Windows from the 20th of this month, but will also be accompanied by the launch an Android version on the Google Play Store. With more than a year of development on record, the TinyWars Prototype is in no way a complete representation of the main game but rather -- a crude, functional demonstration of the game's tower defense engine. Serving to keep fans engaged in its development while also providing the developers with valuable feedback pertinent to general game-play experience, all opinion gathered during the course of both the closed and public beta of the Prototype is meant to go towards furnishing of the actual saga early next year. With the closed beta test inviting participants to record and send in game-play videos to the development team, Taraba articulates that the entire experience has been enlightening to say the least. Said game-play videos have served to illustrate basic player mannerisms in context of the prototype's design, suggesting numerous changes to the existing GUI. Numerous glitches, some major, were also addressed during the test. Further speaking of current game-play difficulty, he confirms that the degree of player-directed challenge will indeed carry over to the main game. The team now hopes to gain greater insight by releasing both Android and PC builds of the prototype to the public. 'If there is one thing we really learned through this experience it is that our suspicions were not off from the truth at all.' they declare. Attached are snaps from the prototype and a trailer announcing its forthcoming public release. Closed testing of TinyWars' upcoming, publicly playable prototype officially commenced earlier this week on Thursday, the 20th of October. Having garnered applications from fans, followers, anime & tower defence enthusiasts alike for over a month, the closed beta test will now transpire over a period of 2-4 weeks in three 'waves'. 'The roster of beta applicants has been divided three groups,' explains Lead Developer Andrew Taraba. Although no dates as to the actual commencement of each 'wave' have been set in stone, applicants can expect revised builds of the Prototype to be rolled out to respective groups on a weekly basis. All of this of course, in favour of establishing a recursive flow to the Closed Beta that sees bugs both small and big being addressed before concluding circa 20th November. A fully revised edition of the Prototype will then be released to the public by the end of the same month. With more than a year of development on record, the TinyWars Prototype is in no way a complete representation of the main game but rather -- a crude, functional demonstration of the game's tower defence engine. Serving to keep fans engaged in its development while also providing the developers with valuable feedback pertinent to general game-play experience, all opinion gathered during the course of both the closed and public beta of the Prototype is meant to go towards furnishing of the actual saga. 'After the Prototype has been thoroughly tested and perfected (and I don’t expect it to be 100% perfect at this point, but polished up enough), we will begin work on the actual, official, real TinyWars game!' elaborates Taraba. Regardless of its commencement, those willing to partake in the closed beta can still apply by leaving a message on TinyWars' Facebook page. Attached are various screenshots from the Prototype's current build. Missed our reveal of the TinyWars Fan-Art Contest's winners last week? Scroll right on this slider! Prototype Nears Completion, Apply Now For Closed Beta! Each of this were picked by a panel comprised of the game's development team, artists and Higher Eclectic representative, that also made it a point to pick out a host of Honorable Mentions from the roster of participants. Besides providing the upcoming tower defence game's following with the opportunity to bag one of seven limited edition character wall scrolls, the number and focus of the 70 entries received has proved particularly insightful as Lead Developer Andrew Taraba reveals. This is of course pertinent to the plot-line of the main game, most of which continues to be kept under wraps by the team. Work on TinyWars' first publicly playable demo/prototype meanwhile has been ongoing ever since; while core game-play content has now been fully implemented, technical minutiae is in need of ironing before entering a period of closed-beta testing. The purpose of this upcoming demo/prototype, as reiterated by Taraba several times before, will be to demonstrate and evaluate the working of TinyWars' gameplay engine. Consisting of a singular sandbox level that has players confront up to 15 waves of enemies, nearly all of its visual and game-play features will be subject to change. It will also of course be released to the public post a month of closed-beta testing, with all user feedback being used in shaping the main game. 'Someone had suggested that we call this a “Siege Game” because “Tower Defense” has such negative associations with it,' Taraba reveals, further adding that TD is now often regarded as stale or dead. Those willing to partake in the closed beta are invited to message the developers via the game's Facebook page. A more concrete time frame and date of release for the same will be announced shortly. Attached are the seven winning entries in order of their listing, followed by previews of the prototype's Level Complete and Game Over screen drafts. For prior updates from the TinyWars universe, scroll right on this slider! Considering the upsurge of entries and interest received by the TinyWars Fan-Art Contest over the course of its final days, developers Bizurk Software have officially extended the Contest period by another week. will stay the same, the two added winners shall fall within either of the four as decided by the panel of judges. Furthermore prizes awarded to these additional winners will be the same as that being offered to the original five -- limited edition character wall scrolls from the Tower Defence game's universe. Launched on the 25th of August, the TinyWars Fan-Art Contest is developer Bizurk Software's token of gratitude to a community of anime enthusiasts that has been contributing to the upcoming tower defence game's lore since its infant stages. Open to international participants, one may submit a multitude of entries to the same provided they are limited to one per day. While all entries need to be uploaded to the game's DeviantArt group, those without a DeviantArt account can still participate via E-mail, or by tagging in the team on relevant social media posts. More information and visual references can be availed of in the contest's official declaration of rules and terms. A few recent entries are attached herewith. In progress since the 25th of August and officially announced by Higher Eclectic Ground in the game’s development update from last week, TinyWars’ 2016 Fan Art Contest continues to gather a variety of entries from its following of anime-enthusiastic artists. Taking into account the vast number of fan-art submissions that have been received from the early stages of the game’s ongoing production, the Fan Art Contest was initiated by Bizurk Software as a means to thank the community for its ongoing support. ‘We’re quite satisfied with the results of this contest!’ the team reveals. ‘Revelation, Amy and Kumo seem to be our most popular fan art characters.’ All received entries are attached herewith. Based within the Tower Defence game’s DeviantArt group, the Contest requires that participants send in their best artistic creations that draw inspiration from TinyWars’ characters and universe – of which ample references have been provided by the team in the official declaration of rules and terms. by a panel of judges comprising of TinyWars’ own art team. 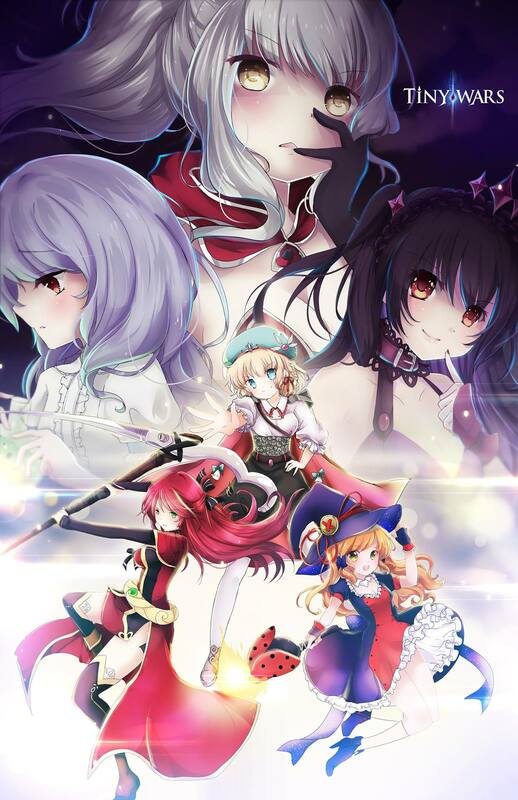 Each of these winners will then granted one of five limited edition TinyWars character wall-scrolls, which were reviewed by Bizurk’s CEO and TinyWars’ Lead Developer Andrew Taraba last month. Participants from both within and outside the Unites States are welcome, with all submissions required to be uploaded to the game’s DeviantArt page before the end of 12th September, 2016; those without a DeviantArt account can still partake in the same by leaving the team an E-mail, tagging them in their social media posts or personal messaging them on any of their social media profiles. Development of the game’s prototype meanwhile continues at the pace elaborated upon in its previous progress report, with Taraba hinting at content implementation being completed by the end of September. This beta testing period will be open to only select members of the TinyWars fandom, with the team already unofficially accepting applications of interest via their social media pages and E-mail. A more official announcement will be made soon. Development of TinyWars' upcoming demo has progressed a significant bit since the last announcement of it reaching 30% completion, the team at Bizurk reports this week. 'We estimate 30% completion based on the fact that we have done 5 out of the 15 waves that will be in the demo,' Lead Developer Andrew Taraba had stated on the 9th of August. Since then the demo has seen a complete implementation of the 'Tiny War' levels -- periodic occurrences wherein 'Dark Magic' takes over, levels switch to darker variations of their selves and players are prohibited from using the 'Retry Wave' feature for a pre-determined number of waves. As demonstrated in the game-play preview of August 9th, failure in any one of the Dark Magic waves forces players to restart from the beginning of a Tiny War. With the demo's Tiny War consuming up to 6 levels then, the total number of implemented levels has now reached a wholesome 11 of 15. Criticisms of level design being too small, the color palette being over-saturated, enemies appearing to be silly and overcrowded game-play. The upcoming TinyWars prototype/first demo will be entering a period of closed beta testing over the course of September-October, with the team already accepting applications via its Facebook page. Be sure to leave your interest in the same at the earliest; a bug-free version of the demo will be released to the public only after an estimated one month of closed testing there after. Finally, as a prelude to the demo itself as well as a token of gratitude towards its growing community of anime-artists, Bizurk is currently organizing a DeviantArt based TinyWars Fan-Art contest till midnight of September the 12th this year. Upto four winning categories have been allotted, with their respective winners being granted one of TinyWars' official limited edition character wall scrolls seen attached herewith. Participants are invited to send in an unlimited number of entries as long as they are restricted to one per day and are directly related to the game's character base itself. For a complete set of rules and regulations, visit the competition's official DeviantArt page. Following last week's announcement of the TinyWars demo reaching near 30% completion, along with the video round-up of progress and its short glimpses of undisclosed game-play features, Bizurk Software debut their most comprehensive demonstration of the game-play prototype yet. 'We estimate 30% completion based on the fact that we have done 5 out of the 15 waves that will be in the demo,' states Lead Developer Andrew Taraba. The game-play video attached herewith commences with the player making use of the Witch Summoning feature -- calling upon a Fire unit and placing them on one of the available objects/towers. The goal here lies in preventing enemies from reaching protagonist Mary's tower on the left-hand side of the level. Interaction with players takes place by means of in-game dialogue based cut-scenes, which Taraba discloses have been rendered on separate video editing software altogether rather than on core game development tools. 'We make cut-scenes first in the video editing software, watch it and make sure everything matches and is readable,' he states. 'Then we paste a "frame counter" in the video and follow that frame count to time everything in the game.' A short demonstration of how these cut-scenes are timed is also attached as a separate video herewith. This then initiates the demo's first wave of enemies, comprising of the team's favourite enemy placeholders that it reveals will now be present in the final demo build as well. 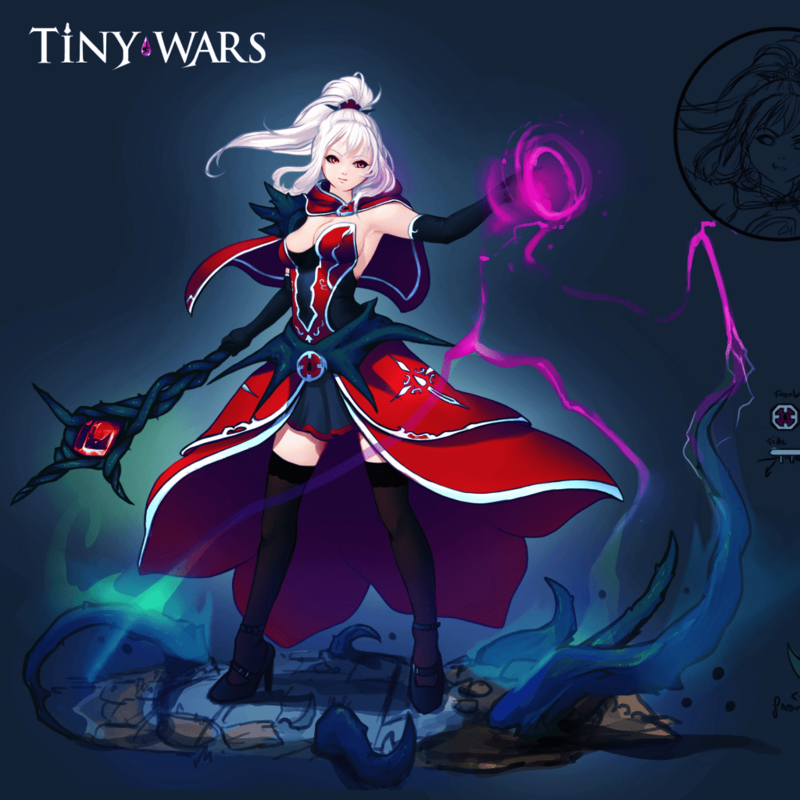 Ensuing waves then go on to depict a whole variety of other enemy designs of which only four were revealed in a prior update; The reactions of TinyWars' playable units towards each is far from randomized, stressing upon the need for players to be prudent in their unit placement prior to a wave. This in no way implies that the battlefield will not stay dynamic; a point proved by the enemies lugging around an explosive to break through the player's defences and create an alternate route to protagonist Mary at 5:23. To further accentuate this, the demo will also comprise of 'Tiny Wars' -- periodic occurrences wherein 'Dark Magic' takes over, levels switch to darker variations of their selves and players are prohibited from using the 'Retry Wave' feature for a pre-determined number of waves. Interestingly though, only two of these units -- Fire & Melee -- will be present in the final build of the demo. Reasons for this lie in keeping the main game's narrative under wraps, given how units will be unlocked via chapter progression in the full game build. The demo itself will take place during the course of Chapter One's 'Grass World' and will lack any cut-scenes related to the primary plot. Story 'elements' might be present, yes, however the focus of the demo will be to provide one with a challenging illustration of TinyWars' game-play mechanics alone. Bizurk Software is currently aiming for a Q4 2016 release of the same primarily on Windows based computers, with its mobile versions still pending testing. Be sure to leave the team your feedback in the comments, while also subscribing to timely E-mail updates via the sidebar. 'The Demo is about 30% complete at this point,' explains Bizurk Software's Lead Developer Andrew Taraba, who had last alluded to several ongoing bug-fixes pertaining to the addition of the Fast-Forward, Wait & Retry Wave features to TinyWars' demo. Yet even so, the team pushes out a rather pensive look at TinyWars' developmental progress from the year so far; Playing to a non-finalized version of Edwin Toh's theme for the game, the video it seems recalls several of the upcoming demo's recently added game-play traits such as cut-scenes, enemies and a sleeker UI. However amid the display of newly developed character and game-play concept art pieces lie brief glimpses of never-seen-before footage from both the upcoming playable demo and the main build of the game. For instance 0:22-0:25 shows off the demo's enemy-fillers lugging around what seems to be an explosive to break through the protagonists' defences, causing a splatter effect to ensue in the process, followed by a vivid depiction of the same level's night mode in action. Markers 1:09-1:11 go on to illustrate new game-play environments altogether, which the team reveals are from the tutorial levels that precede the main build of the game. 'You'll eventually see how it all comes together,' adds Taraba. What are your thoughts on the direction TinyWars is heading in? Leave us your feedback in the comments below. Bugs take centre-stage in this week's progress report of TinyWars' upcoming demo. The implementation of Retry, Wait, Play and Fast Forward Wave features from the past month now sees the team clearing up numerous technical irregularities to ensure their smooth functioning. Even so, Bizurk have finally replaced the enemy fillers that were used in previous demo snippets with four all-new enemies that will be finding their way into the game's vertical slice. While their designs are put on display via the still image attached herein, a short gameplay GIF illustrates the Sleepy Bug in action. These bugs, the team reveal, will spawn numerous younglings when killed -- often causing players to be overwhelmed during the course of an enemy wave. Furthermore, the names allotted to each are merely code references -- with Lead Developer Andrew Taraba revealing that none of the enemies will be named in-game. Lastly, Bizurk also announces the arrival of a new artist to its team; Deviant Ayasal has already commenced work on posters for in-game character Amy. Ayasal's DeviantArt profile is linked within the 'View More' section of this update. Following last week's implementation of the Retry Wave feature within TinyWars' demo, one that allows players to restart an enemy wave within the game's Tower Defence setting, the development team briefly illustrates functioning of the same. Shot from the work-in-progress demo, the game-play snippet also serves to demonstrate the newly established feature of 'Waiting' between enemy waves that further encourages players to strategize their next course of action, a 'Play' button that lets one commence a wave, and a 'Fast Forward' button that speeds up the entire level. Lead Developer Andrew Taraba adds a little caveat to this Forwarding feature by stating that while it's current function is to allow the development team to speed up waves for testing purposes, making use of it as a means of furthering game-play often results in unpredictable or worst-case outcomes for the level. On the animation front, Mary's castle crumbling sequence shows off further detail to damage taken while all waves begin with a simple 'Wave Start' introductory message. 'It seems pretty basic for now; However, there still is lots of room to make a more intricate animation,' confides Taraba in relation to the same. Note that the enemies used are still fillers and neither of the units possess direction-based animations yet, the latter of which explains the purple silhouette seen every time a playable unit attacks in a direction other than forward. What are your thoughts on the team's progress so far? Share them in the comments below. Last week's overview of the status of TinyWars' demo served to announce not only a 50% increase in its playable area's size, but also the addition of minor yet essential visual effects. These included that for character blinking, shadows and a destruction sequence that played every time a wave of enemies rammed into protagonist, Mary's castle within the level. While the list of pending additions to the demo continue to stay the same per se, Lead Developer Andrew Taraba sheds light on a game-play feature that has only just become functional within the game's vertical slice -- Retry Wave. Accessible via the pause menu during the course of game-play and even on level failure, the Retry Wave feature serves to offer players multiple chances at an enemy wave -- of which there will naturally be several -- rather than have them restart a level from scratch. Of course the implementation of this feature comes with its fair share of challenges, Taraba confides in his latest dev-blog, particularly the saving and reloading of a player's mid-level status and statistics during run-time which have now been resolved by the team. In addition Taraba also debuts a look at the game's cut-scene system that despite being outdated, still serves as a valid demonstration of how dialogues will be rendered in-game. This demonstration can be seen in the short video attached herewith; Taraba has now also alluded to the TinyWars demo possibly making a release date within this year. Feel free to catch his entire report via the 'View More' section below. In discussing the progress and status of TinyWars' upcoming publicly playable demo, Lead Developer Andrew Taraba reveals that its size has been expanded to over 50% of its original with the intention of providing a larger play-area. In addition to the graphical tweaks and additions made in the month's prior, the demo now also features shadows for its objects and randomized blinking of its characters when enemies are out range. Followers might recall that the goal of the TinyWars demo is to make strategic use of various Tower Defence units -- Melee, Ranged, Fire & the like -- in preventing various waves of enemies from making their way to protagonist Mary's castle. Inserted within the demo now is a castle-breaking sequence as illustrated here, activated whenever enemies make it to Mary. Amid other pending tweaks furthermore, the demo still needs to implement the actual waves of enemies that have been substituted by placeholders thus far. 'Since this is demo mainly to show off functionality you will see a lot of enemy types from normal enemies to shielded enemies to regenerating enemies', explains Taraba when asked about the assortment of enemies that will be making in to the fray. Furthermore, each of the game's Tower Defence units are not only in need of direction-based animations (characters currently attack only in the forward direction) but also the implementation of the unit upgrade system. 'When you kill enemies you earn in game money. You can use that in game money to either -- 1. Buy new units to place in the level or 2. Upgrade existing units to make them stronger and attack faster,' describes Taraba. The developer also speaks off adding in in-game cut-scenes to communicate with players, a Game-Over, Results and and Scores screen followed by opening & ending anime inspired animations in his latest blog post that also serves to round-up all fan-art received by the game's growing audience base. The demo meanwhile still as no definite release date given Taraba's preferences to release it when the team believes its ready. To view the aforementioned blog post in its entirety then, click through the View More section below. Created as a means to further involve followers in its ongoing development far before release, TinyWars has only just opened its own Wiki. Even with only its Main and Character Index pages listed, the Wiki unravels a host of previously unreleased information that the developers now claim were inserted in a 'single stream of consciousness'. Spelling out numerous characters that are yet to be introduced by the team, the Character Index page currently hyperlinks only to one dedicated to the game's protagonist Mary. 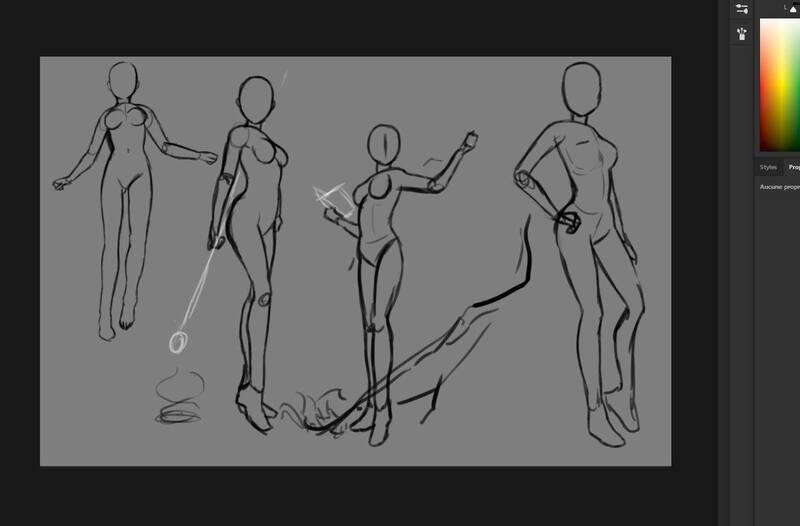 Herein an elaborate sketch of hers is provided -- shedding light on her backstory, the roles she'll play during game-play and the skills players will make use of over that course. While also generously opening up about several plot points -- such as how Mary procures her choice of weapon, a bow, and also her encounter with the game's Fire Witch Kim -- it as of yet provides no further explanation on the events surrounding or leading up to the 'attack' on Tiny Kingdom that players will find themselves in the midst of. 'It (The Wiki) however now lets us literally throw out all the information that you could possibly know about the game/story without you even playing it,' states Lead Developer Andrew Taraba, alluding to the onset of more plot related revelations. Till that happens, be sure to drop by and bookmark TinyWars' Wiki via the 'View More' section below. Here she is; TinyWars' Potion Maker whose multiple, intermediate forms of design (attached) were previewed by the development team in their 31st May update. At the time they'd proceeded to poll social media users on their choice of design -- the results of which varied between concepts #1 and #3. As Lead Developer Andrew Taraba divulged in a recent Dev-Log on the game's blog though, the team's choice eventually fell on #1 for its compatibility with the character's personality. 'I can't really reveal much, takes away some of the fun I guess!' he goes on. 'Just know that the potion making stemmed from a not-so-happy reason, and that perhaps those potions were not originally designed to kill OTHER people,' alluding to her being the subject of controversy in-game. 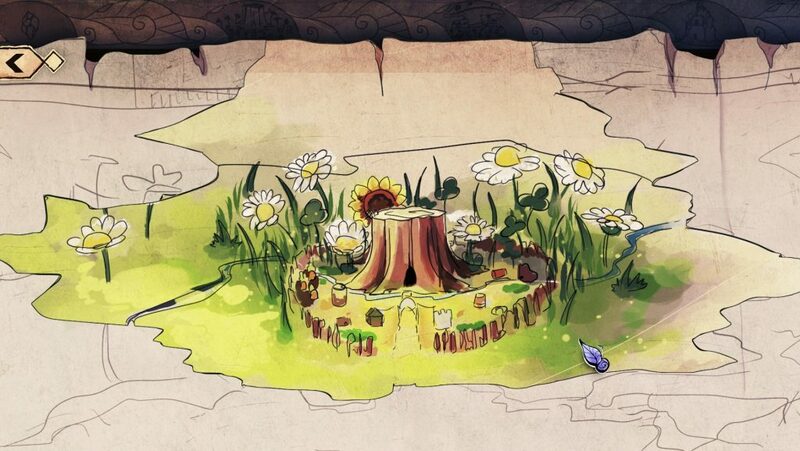 Concept art of this Grass World and its Tree Stump castle is seen both attached after the cutscene renders and in the banner image of this Space. As development on the demo level continues meanwhile, Taraba has been spending the first half of this month boosting TinyWars' social media reach. Particularly on Facebook, the developer has been seen lurking within Anime enthusiast groups -- polling denizens on their opinion of the game's concept art, intermediate stages of development and diverting their interest towards the full game in the process. The result? Improved reached amid a more targeted, responsive audience. He details his experiments and their outcomes for interested independent game developers in a Social Media Marketing themed blog post linked within the 'View More' section below. TinyWars is in the midst of having an all new character addition designed and just as was with its Melee entity previously, the team need your opinion. A potion maker with a yet undecided name, the girl seen here will step into the fray during the course of Act Three of the game. With the promise of revealing her characteristic traits & abilities in due time, the team have now picked up the best three of eight design variations that best suit her. The question however lies in which of the three, differing mainly in hairstyle and dressing, would be your pick? Be sure to leave your feedback in the comments below! Kim the Fire Witch receives a tiny set of graphical perks in the form of improved animations accompanying her Fire Spells. In contrast with the last time Kim was seen in action by means of the 4th May Graphical update of the game herein, her attacks now possess fire particle and trail effects that the developers state are not only live rendered, but also add to a tinge of 'Magic' to gameplay. This, they clarify, doesn't seem to overly load the game's computing even when tested on all witches spawned and firing at the same time. Also making its debut today is a short preview of the game's first cut-scene. Still very much in progress, the short preview illustrates only sketched versions of the game's various characters in interaction with one another -- in the absence of any dialogues or subtitles. Be sure to leave the team your thoughts on the same in the comments below! Taking into account not only the large quantity of fan art received but also the number of graphical advances TinyWars has made over the past few months of its developmental cycle, developers Bizurk issue a musical compilation of the same in retrospect. Note that the team continues to welcome fan created art, provided it is notified of and sent the created images via E-mail or the comments below. Once done with the compilation, be sure to dive deeper into TinyWars' universe by browsing through its progress that lies documented herein since February this year. In followers' first extended look at TinyWars' GUI in action, developers Bizurk Software debut a host of new graphical features. Instantly noticeable is the Witch Summoning Menu in action that was first revealed in an update on the 23rd of April herein; As the player makes use of it to call upon Fire Witch Kim, animated fire, smoke and particle effects come into play in attack of the passing dummy enemies. Parallax and Zoom effects allow for easier movement around the scene, which is further complemented by the GUI's sticky nature that lets the various player statistic indicators stay in line of sight regardless of camera perspective. Also making its first appearance is the game's Selling feature, that will let users trade in units mid-battle for a fraction of their original price and purchase higher skilled units should they wish to; In-game money is also earned by eliminating enemies. Speaking of which, the goal in the gameplay illustrated here lies in preventing the dummies from reaching protagonist Mary in the screen's left most area; While letting more than 10 dummies reach her results in a failure, a 'Game Over' scenario is yet to be implemented by the team. For now, Mary reacts by throwing a fit -- putting on display her 'angry' animation that reflects the developers' desire to have character traits carry over outside of cutscenes during gameplay. Among other aspects, improved character animations and shadows are to follow. Fancy a TinyWars witch figure? It's an often stated fact that despite available information and visual content pertaining to its game-play still being kept to a minimum, TinyWars' characters continue to grow in popularity amid its following of anime enthusiasts. So much so, that these fans have many a time expressed interest in possessing figurines of the game's characters. Picking up on this interest, the developers have not only whipped up a few prototype figurines in the past but have also begun considering logistics for the manufacture and distribution of these figurines on a larger scale. To first determine how many would truly be concerned with purchasing these models though, a contact form has now been set up on TinyWars' website for fans and followers to express the same. Depending on the response they receive, the developers will then move to Kickstarting a crowd funding campaign for the models during the game's more advanced stages. Visit the contact form on TinyWars' official website to get in touch with the developers and learn more of these witch figures using the 'View More' tab below. In continuation of its last update that saw the incorporation of theme-friendly player statistic indicators, improved lighting and shadows, the updated in-game GUI now debuts your first look at TinyWars' Witch Summoning Menu. As its name suggests, the Menu will enable players to call upon various playable units mid-battle and place them at their choice of strategic location using the sky-blue, patterned reticles. While these reticles appear only when the Menu is opened, each slot within this Menu indicate the variety of Tower Defense units (Melee, Long Range etc.) available for summoning; Fans will recall the game emphasises on featuring only one character per unit, the purpose of which was explained in the April 5th update titled 'Black or White Leggings?'. 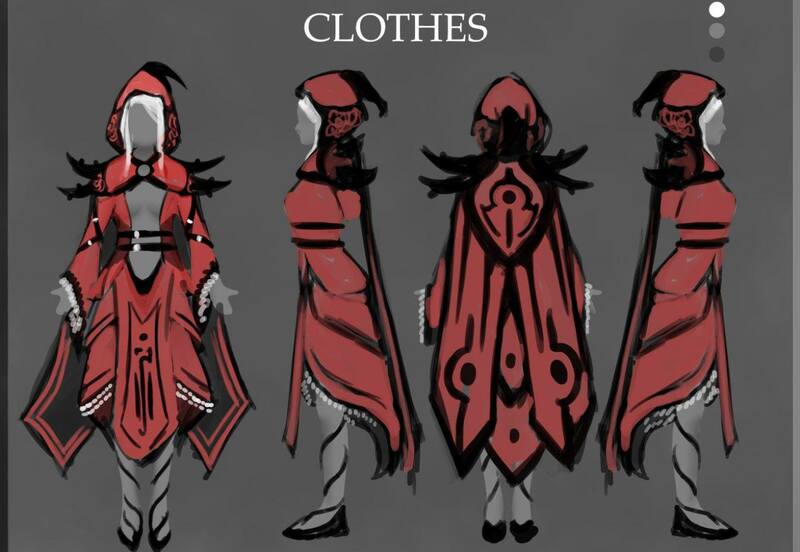 Moreover, intent as the developers are with keeping every visual aspect of the game related to theme, the Pagan-like designs of the circles themselves are in keeping with their purpose of 'Summoning'. Expect the developers to delve into a much deeper explanation of the Witch Summoning Menu, by means of a full-fledged video featuring animated movements and more soon. A digital recreation of Amy, one of the two 'Candy Sister' characters, by artist Tanaruu who pursues a more matured version of the character as opposed to the developers' vision. The column next to her, is dominated by the game's 'Melee Character' that was first seen in an update on the 5th of April, wherein Bizurk had polled the Community on whether black or white leggings suited her best. While the pencil sketch of this Melee Character stems from an anonymous contributor, the painting by Deviant Easoka below conjures a much more eerie, medieval-era witch themed rendition of her. 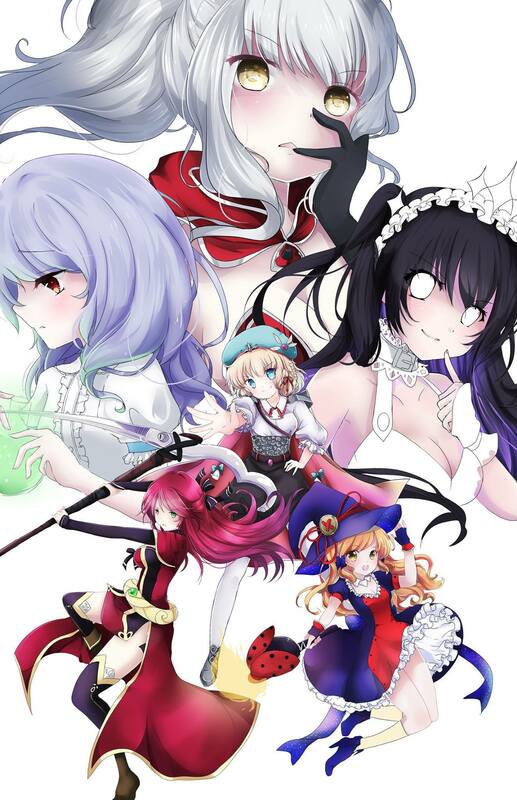 The image next to her is Haru Tchi's miniature replica of the official character art of Kim The Fire Witch, followed by Loliroripyon's timid vision of Mary directly above. While each Fan-Art is individually viewable in this update, also attached are official character concept arts corresponding to each character -- to help put into perspective the artists' talent. In addition, Lead Developer Andrew Taraba takes to the game's official blog this week to share quite a few valuable pearls from his Game Development experience; From making use of physical objects to put things into perspective, to getting enough sleep and sharing your work with others. Catch Tips on Development & Coding in General from the man himself via the 'View More' section below. Back in February, weeks prior to their joining the Community, developers Bizurk Software had revealed to fans their first look at a render of TinyWars' GUI. While character & environmental animations therein were of considerable quality, the design of the UI itself was rather crude, featuring generic icons and numbers to represent various gameplay stats. In evolution, the team now debuts a more sophisticated form of the very same interface, featuring not only improved lighting, shading & graphical quality, but also revamped indicators. This new interface, the developers explain, sits more appropriately with the game's 'Tiny & Cute' theme while also eliminating any language barriers that might crop up from heavy reliance on textual indicators. The enemy characters seen here meanwhile are but dummy fillers, similar to the ones that were seen in the short gameplay GIF that was illustrated on the Community back in March. Speaking of which, lead developer Andrew Taraba admits that they are yet to reach a stage when gameplay turns worthy of a full-fledged preview. While he maintains that TinyWars will in no way reinvent the wheel, what it is striving to implement within its gameplay is efficient strategy and planning. 'Our aim is to make something that's hard; many Tower Defense games we have played are too easy or simply task players with building the most towers,' he explains. 'So even this Test level that we've been working on requires the player to build towers mid-wave, in real time, in order to pass the wave.' More on the game play mechanics of course to follow soon. Till then, be sure to take a gander at both renders of the GUI and even an interesting glitch in animation the developers encountered mid-way, before tuning in on Taraba's official Dev Log on his struggles with the UI linked below. Do white or black leggings suit her attire best altogether? Seen here is one of TinyWars upcoming, scythe wielding melee characters that remains as of yet, unnamed. TinyWars will have players strive towards improving and strengthening only a particular ensemble of characters throughout the course of the game. This not only results in the game having a fewer number of generic entities & consequently a tighter narrative, the team believes, but also calls for a strategy that goes beyond simply grinding playable characters to purchase stronger ones. With each character gradually growing more powerful over the course of the game as a direct product of this, the concept of 'weak' or 'useless' characters in-game vanishes -- tasking players with devising strategies wherein every character is crucial to success. 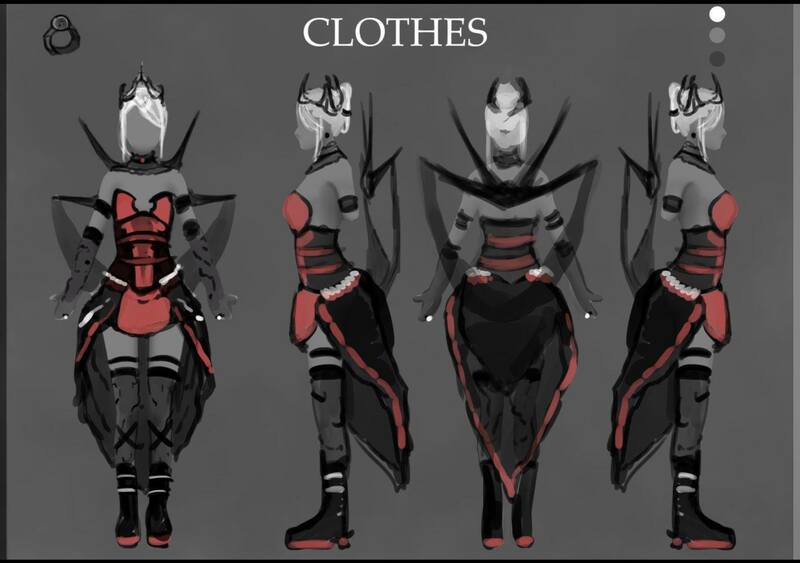 Naturally then, the melee character here is being given more than a normal amount of attention to detail -- for the purpose of which the team would like to know of your opinion with regards to her leggings' colour & overall design. Let us know in the comments below! While TinyWars might not have reached a stage flourished enough to release a game play demo, the Tower Defense game has attained for itself a pre-game play Music prototype. Downloadable via the link below, the pre-game play prototype showcases a collection of the game's popularly vivid concept art , along with a roster of music tracks from its OST to listen to while browsing the art gallery. With the developers currently looking into progressively updating it with more art, music and game play snippets -- the demo is meant to function as a means for fans to stay rooted in the game's development until the full game play demo release. Said game play demo will comprise of a portion of the game's narrative and only a handful of its characters, more on which will be revealed soon. This week, developers Bizurk Software put forth a mix of both 2D & 3D art submissions received by them -- starting with a quick sketch of the game's protagonist, Mary in the top left corner by Deviant XYoung_KGNAx. Directly below, is Bunniikitty​'s ink & pen recreation of the yet unnamed character regarded as Candy's Older Sister -- followed by her rendition of Fire Witch and supporting protagonist, Kim beside it. To top it all, on the extreme right lies one of the first 3D model fan submissions received by the team -- that of Candy's Older Sister, recreated in vivd playdoh-ish color by Imagination XD. Via sharing their fan's submissions on a regular basis, the developers intend to encourage artists to recreate the games' characters for personal or portfolio use. Those wishing to do so however, need only let the team know by getting in touch with them via their website or by leaving them a comment here. As TinyWars' development carries on as per usual, the influx of fan-art from its community of followers stays consistent. From 3D art to sketches drawn on paper, as developers Bizurk Software compile their fans' latest submissions -- they bring you a roundup of their Community's best fan art work from over the holidays. Beginning with Deviant LaDollBlanche's hand drawn interpretation of the game's Fire Witch, Kim; to her right, wine glass in hand, lies Hyanna Natsu's New Year's greeting on a yet unnamed character referred to as Candy Girl's older sister. Directly beside her is the team's official rendition of a 'bewildered' Kim with art drawn by a visitor to the team's Studio earlier this year immediately below her. More to come! 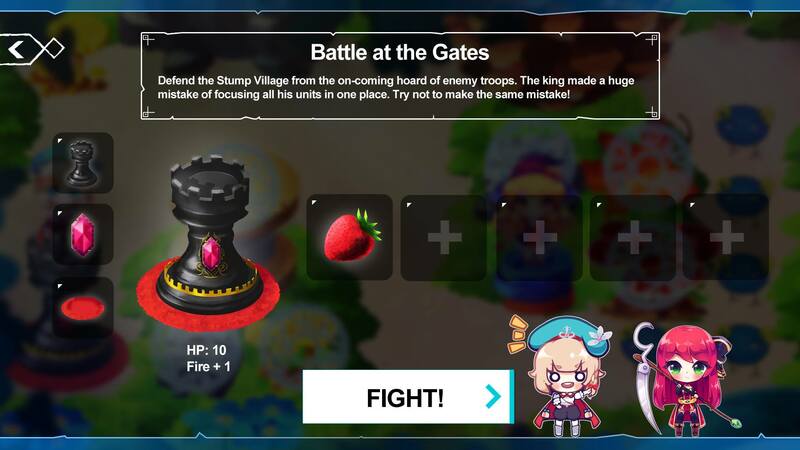 Illustrating a large portion of the game's vibrant visuals while putting into perspective the 'Tiny' aspect of the game's setting (catch the Chess piece on the left), the GIF seen here shows off Fire Witch, Kim dispelling attacks from her Ladybug matchstick. While she's seen doing so only from the front, the final build of the game is set to include a wider range of attack. Furthermore, said passers-by are but fillers -- inspired by a species of Slug -- with the game set to include more realistic, less-than cute and possibly horrifying enemies. Wallpaper art, from Bizurk Software's upcoming Tower defense act, TinyWars​. A piece of wood & string held together by buttons, with sewing needles used as arrows. This is of course, keeping with the game's theme of things tiny. 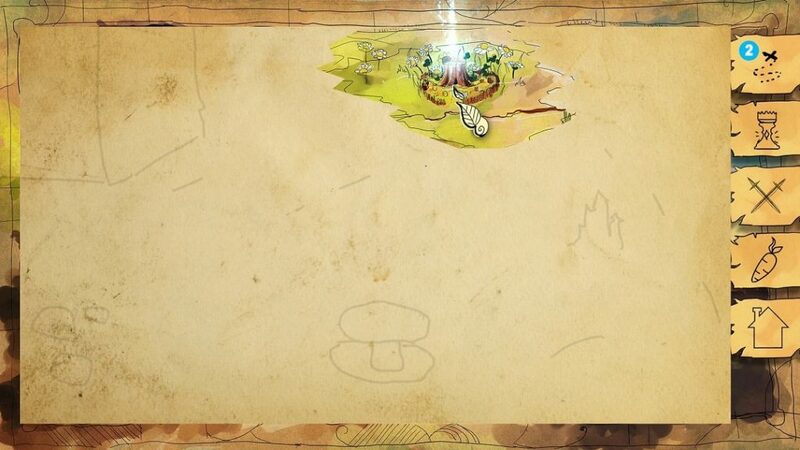 While the art itself will eventually be available as a downloadable wallpaper, Bizurk's plans involve potentially using art as such within the game's loading screens. 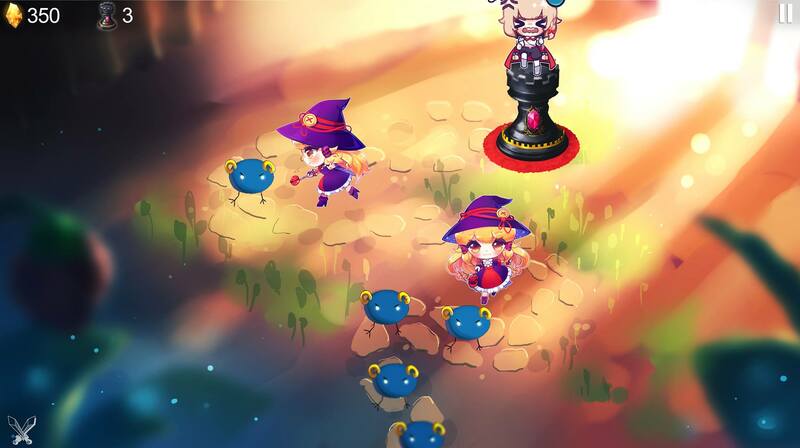 Introduced to the Community last week, fire witch Kim plays an integral role in the upcoming Tower Defense game, TinyWars. With a curious ladybug matchstick as her go-to weapon, TinyWars will witness Kim pair up with the game's protagonist Mary, to put an end to the attack raging against the Kingdom of Tiny. That aside, seen here is Kim herself taking form -- via a speed painting snippet of her development from the team themselves. Here's Mary; the very same protagonist of Tower defense title, TinyWars​ who debuted on the Community on the 14th of Feb. Contrary to the 'cute', docile demeanour that was portrayed by her official character art then however, seen here in this fan-art by Deviant StarliPop is a more dark side of hers. On her journey through five chapters of saving the Kingdom of Tiny, players must expect exposed to this more bossy, manipulative side of the character as she grows as an individual. Its interesting to note that Deviant Starlipop is also an active member of the development team, having created this piece of art on but a whim as a means of further exploring the character. A larger assortment of her creations can be viewed on her DeviantArt profile linked below. With your introduction to Mary, TinyWars protagonist over & done with (or so you think), the team at Bizurk Software bring you Kim. A Fire Witch by nature, players will be introduced to Kim as a 'fire breathing monster' -- after her magical powers accidentally set Tiny's Grass Village on fire. Ironically though, players will witness Kim play a pivotal role in the game -- as she eventually pairs up with protagonist Mary to save the Grass Village from the very evil that continues to attack Tiny. Another aspect of interest is Kim's weapon of choice; a matchstick with a ladybug tied onto it, whose flapping wings set the stick on fire. While the flame mysteriously doesn't last too long to engulf the bug, the weapon will certainly appear to be reusable. With TinyWars' intensive design & development ongoing, the team at Bizurk Software bring your the first of many peeks into the Tower defense​ tale's world. Starting of course, with a glimpse of the character that continues to be the talk of the game's following; Introducing Mary, TinyWars' leading lady. TinyWars narrates Mary's journey as a resident of the Tiny Kingdom, told through 5 chapters set in 5 different areas of the Tiny Kingdom -- as she traverses twists & turns to learn more about herself and the people around her. The team admits that Mary's story is perhaps the most dynamic & complicated of the lot; touching on themes that are simple and traditional as well those dark and adult. Intrigued? More on the other characters to follow. It's not often you hear of indie Tower defense games pledging personal growth of the player and yet staying enigmatic about the gameplay that will. Before managing to gather an enthusiastic following on the basis of one character alone. But then that's TinyWars for you; currently in development by the Community's latest members, Bizurk Software. Yes, we took a closer look. A tale of personal growth & justice woven into the Tower Defence genre; Bizurk Software presents TinyWars. In development for PC, Android​ & iOS devices, Tiny Wars will follow the tale of one Tiny Kingdom inhabitant, Mary, on a quest that sees her learn of things greater than herself, make prudent decisions and fight to save Tiny's inhabitants from prevalent attack. Put together as a bare-bones prototype in but mid-2015, the game has had its characters, assets & sountrack developed from scratch -- with more ongoing ahead of a planned demo release. The team of course, intend to build an audience base via their presence on Higher Eclectic -- gearing up to bring it a plethora of audio & visual content from the game's ongoing design that has not been revealed before. More to arrive in-conversation with Bizurk's CEO, Andrew Taraba soon. For now, featuring three of the game's main characters -- Kim, Mary & Amy (L to R)-- here's a sample of what the Tiny Wars poster would look like when it does release on the Play & Apple Store. To learn more about the game's vision of being different despite not promising to innovate the Tower Defence genre & more, have a gander at its details elaborated on its Space herein. First put together as a bare-bones prototype in mid-2015 and conceived in the mind of Bizurk Software CEO, Andrew Taraba years prior, TinyWars is an upcoming game of the Tower Defence genre for PC, Android & iOS devices. Following the tale of one such inhabitant, a young girl named Mary, said narrative will illustrate her pursuit of justice from those that belittle her as she journeys to save the Kingdom for good. The Tiny theme is one that will be carried over to the entirety of the TinyWars experience, illustrating the strife of a literally microscopic civilization in the midst of a raging war. Despite its light-hearted and visually vibrant design, themes such as that of Death and Loneliness will certainly be explored. 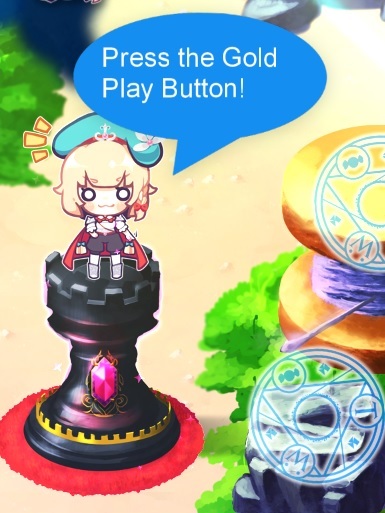 And yet the game makes no impositions; while those who immerse themselves in the lore and premise of the narrative will experience a layered tower defense saga, casual players will still be able to pick-up and play TinyWars as a cute, anime-themed strategy game on-the-go. Either way, the TinyWars narrative will be delivered via both in-game cutscenes and journal entries; the latter forming an integral piece of the game’s underlying theme, shedding light on the Kingdom’s history and ongoing struggle from the perspective of an investigator collecting evidence pertinent to the existence of the Tiny civilization. Opting for few yet intricately designed levels over hundreds of smaller ones, TinyWars’ Tower Defence element aims to challenge players’ creativity, wit & judgement, rather than have them mindlessly go through the motions in their defence against enemy attack. Players will be tasked with strategic thinking, dynamic unit management and a plethora of boss fights across varying degrees of challenge. All the aspects of this Tower Defence element, although not ground breaking, will ingeniously parallel the aspects of the story and the concept of growing as an individual. 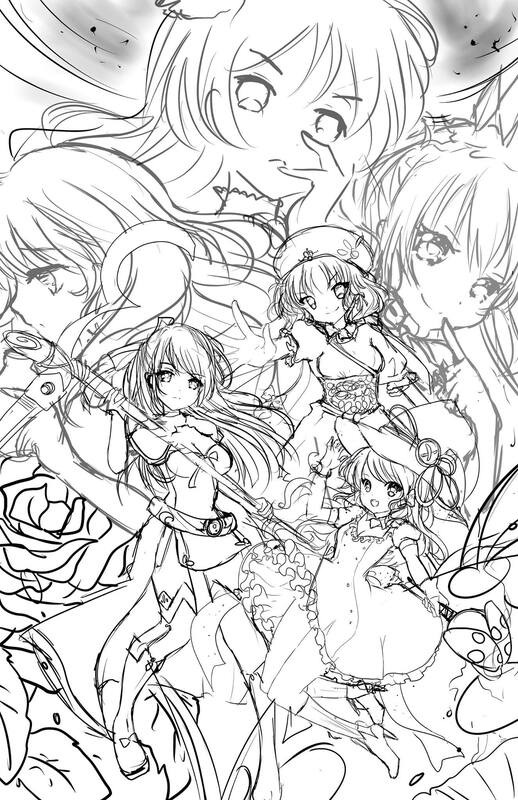 TinyWars’ art is being worked upon by a variety of freelance artists, with Deviants LaDollBlanche, Chibionpu, Starlipop and Hyanna Natsu being key contributors to the game’s existing visual theme and style. Much of the TinyWars OST has been recorded live and is predominantly orchestral in nature. While the title theme has been composed by Singapore based Edwin Toh, the soundtrack also features the work of artists Taichi HIYAMA, Farhan andヨギ (Yogi) among others. While TinyWars is currently in development for PC and mobile devices, a prototype of the game’s tower defense engine is now available for download. Despite the prototype being devoid of any narrative elements and fleshed out visuals, the team is currently working towards releasing a more representational vertical slice of TinyWars’ primary experience by the end of 2017. Additionally, a TinyWars-themed mini card game of Memory is also available as a free download on the Google Play Store. Developed as a programming experiment during the month of January, 2017, MemoryWars is TinyWars’ take on the classic card game of Memory. With upto 12 levels to beat, players may compete with A.I or at least one other player to earn in-game currency and build a library of Collectable Cards featuring TinyWars’ various cute, rare and deceptive characters. Comprising of a portion of TinyWars’ soundtrack and early concept art meanwhile, a pre-gameplay demo precedes both the game-play prototype and MemoryWars mini-game. Large as their team is, Bizurk invites members to take a gander at TinyWars’ Credits page along with a portfolio of work on their listed website. Sean Braganza assisted with various aspects of TinyWars’ community management and press/public relations between February, 2016 and July, 2017. Establishing and maintaining relationships with various gaming news websites, encouraging coverage of TinyWars’ development and prototype phases. Successfully co-ordinating press coverage in the form of news, previews and interviews around the launch of TinyWars’ game-play prototype, mini-games and art contests in the fall of 2016. Providing Lead Developer Andrew Taraba with strategy tips/suggestions to bolster TinyWars’ social media presence. Constructing written development updates, issuing press releases of the same and generating social media blurbs, with the intention of growing TinyWars’ audience on a monthly basis. These updates, blurbs and press releases are logged by Sean Braganza in the Updates section at the head of this page and the Recent Press Releases tab of the sidebar. All press coverage that has resulted from the same meanwhile, is seen embedded under the What’s been Said About TinyWars tab of the sidebar. ‘Sean Braganza’s PR work was professionally written and executed perfectly. On top of his high quality reporting and accuracy, his press releases were delivered so fast, sometimes faster than we could even blog about it ourselves! His contributions to the TinyWars press release and reviewer relationships will not go unnoticed. I would highly recommend Sean.‘ — Andrew Taraba, Bizurk Software.